Mahle is addressing future urban mobility requirements with a concept 48 volt electric vehicle being exhibited in Frankfurt IAA event. Mahle has developed a highly efficient 48-volt vehicle concept for urban mobility, which can be transferred to a wide range of platforms owing to its modular approach. “MEET” (Mahle Efficient Electric Transport) will celebrate its world debut at IAA Cars 2017 in Frankfurt. Increasing urbanisation, a shortage of parking spaces and a move away from the conventional buyer model to car sharing schemes: these are just some of the factors that make completely new mobility and vehicle concepts essential: compact and agile, convenient, intuitive, connected and particularly efficient—but still economically viable. Vehicles of this kind have sophisticated specifications. Mahle has developed a highly efficient 48-volt vehicle concept that demonstrates how these core values can be realised through a holistic systems approach. In the urban application area, the technical focus of MEET is on maximum energy efficiency. The meshing of different energy-saving technologies in the areas of the powertrain and thermal management increases efficiency and significantly enhances the range of the vehicle – even and especially at low external temperatures. The low vehicle mass and the maximum speed of around 100 km/h, optimised for city requirements, only call for lower drive power and improve the degree of efficiency at the same time. Extensive test drives undertaken by Mahle on a typical city route under different conditions and with different drivers, formed the basis for the power output design. The result was a maximum requirement of around 20 kW. In order to also account for journeys at higher speeds, Mahle in a first step selected a systems power output of 28 kW for its demonstrator vehicle. This allows a voltage level of just 48 V.
As the voltage level is below the threshold of 60 V, there is no need for cost-intensive protective measures against electrical hazards. Consequently, systems costs are considerably lower than for high-voltage applications with the same driving performance. Furthermore, Mahle is systematically exploiting areas of synergy. According to the company, all of the technology employed can be carried over into large-scale production – thus generating further cost benefits through economies of scale. The Mahle IPM (Interior Permanent Magnet Synchronous Motor) traction drive is an extremely efficient combination of a synchronous motor with permanent magnets and integrated 48-volt electronics. The motor provides maximum efficiency and dynamics in a wide speed range. To begin with, the MEET demonstrator vehicle was equipped with a Mahle drive unit consisting of two motors each with 14 kW of mechanical continuous output and 36 Nm of torque. At IAA, the next evolutionary stage with 20 kW and 80 Nm per motor will be presented. The motors drive the rear wheels via a central transmission. * The structure is modular and can be easily modified according to the application, for example for other performance levels. * The existing 48-volt architecture of hybrid vehicles allows for an easy and cost-effective integration, for instance as a drive unit/electric axis or for an electric all-wheel system. 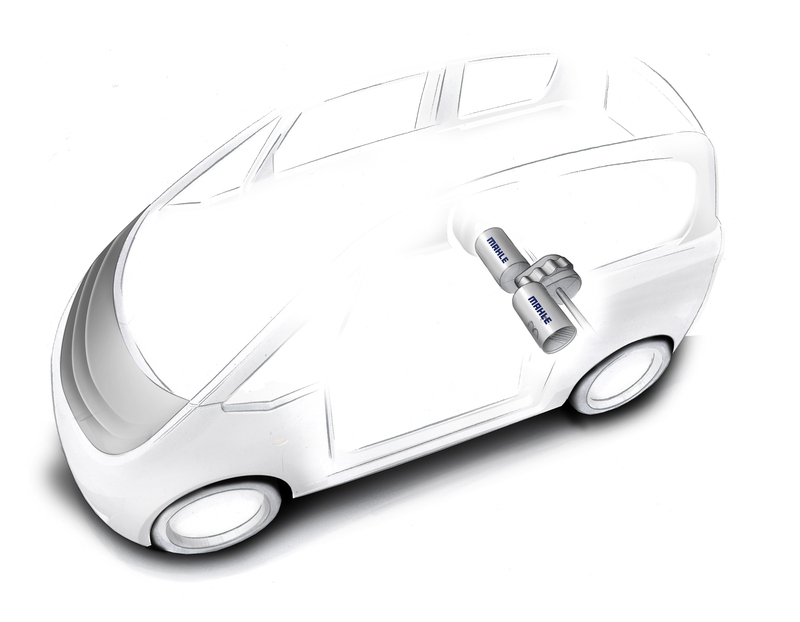 * The functional safety is increased by means of redundancy in the electric powertrain. * Manoeuvrability and agility can be improved with torque vectoring functionality. * As a result of the wide speed range of the motors, a gearbox is not necessary; systems efficiency is increased through the elimination of switching losses. MEET and its overall concept will be presented for the first time at the IAA 2017 event taking place from 14th to 24th September in Frankfurt.